Sarah and Sasha are a pair of gorgeous tabby sisters that love to play catch with string toys or balls and relax peacefully basking in the afternoon sun together perched in their cat tree. 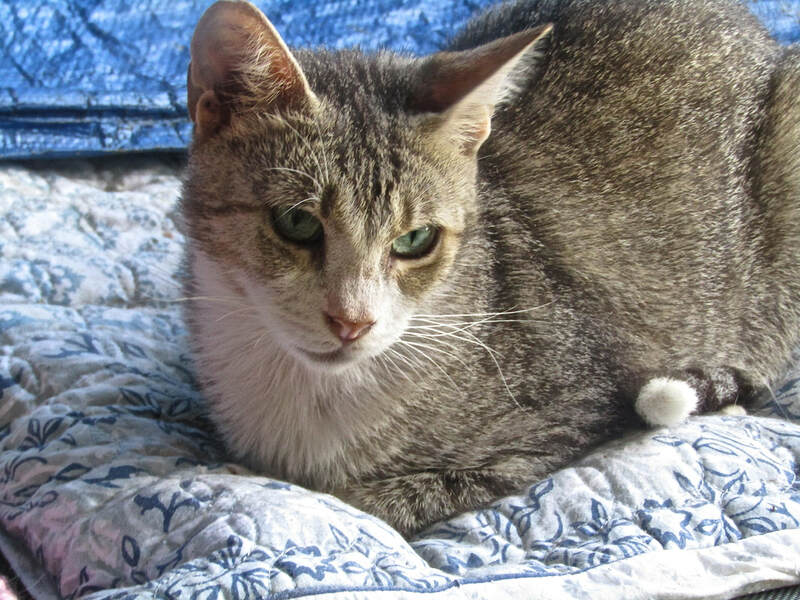 Sarah loves pats and has a beautiful soft grey and white tabby coat. Sasha has the classic beautiful markings and colours of a tabby. She is a little shy but when she feels safe or is blissfully distracted by playing catch, she will happily let you pat her. Of course it was not always like this. Born on the street, the sisters survived as best they could until their rescue. They knew what it was like to be hungry and to hide in the shadows, to dodge cars at night when they came out to search for food and to disappear down the gutters to avoid danger. They are some of the lucky ones who will blossom even further when they find their forever after story. Sarah and Sasha are a bonded pair who snuggle in bed together and enjoy the company of other cats too. They will be happiest staying together.